Michael Powell said in a 1977 interview that the film had such an impact on him that he'd carried it with him throughout his career. Its themes are visible in various Powell films, and the amazing thing is that, from 1923-1976, he had only seen the film once. 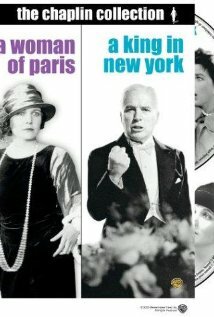 Charles Chaplin conceived this film to help Edna Purviance's career independent of him. However, while the film did boost Adolphe Menjou's career considerably, it did little for hers. The first major failure in Charles Chaplin's career. Many believe the film would have been a success if he taken his name off the picture altogether. The re-issue of this film, with a musical score and new cut by Charles Chaplin, was the last work of his entire film career. By then the 87-year-old Chaplin was visibly frail, but still walking. His score was aided by arranger Eric James, and he took a small theme from Monsieur Verdoux, but most of the score was Chaplin's. The film was re-issued posthumously in 1977 with the new score to overwhelming critical and public praise. At that time many critics praised it (as in the trailer) as one of the best films ever made. Charles Chaplin: a railroad worker. He is very easy to spot. He is carrying a huge box over his head, and he is alone.